When (approximately) did you and your spouse separate? Please provide the full names and date of births of the child/children. Who does the child/children primarily live with? Please provide some brief details. Almost done but please pay attention! 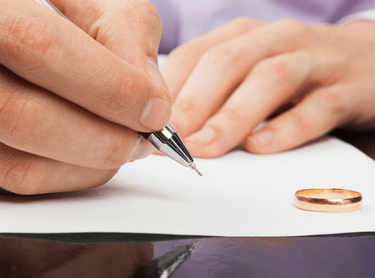 Now that you have completed the basic information for your Divorce Application, we will contact you either by email or phone to arrange an appointment with one of our solicitors to complete the rest of the Application. If you do not have your Marriage Certificate or have lost it, you will need to apply for a new one through the Department of Consumer and Business Services (Births, Deaths and Marriages) before we file your Application for Divorce. If you cannot locate your spouse, we may need to file additional supporting documents with your divorce matter. This will be discussed with you at the appointment. If you are considering property settlement such as the division of assets with your spouse, you may want to reconsider getting divorced at first instance as it could affect your right to initiate proceedings regarding property settlement. One of our solicitors can discuss this with you! Please allow plenty of time for the appointment, depending on your situation it could take up to an hour.